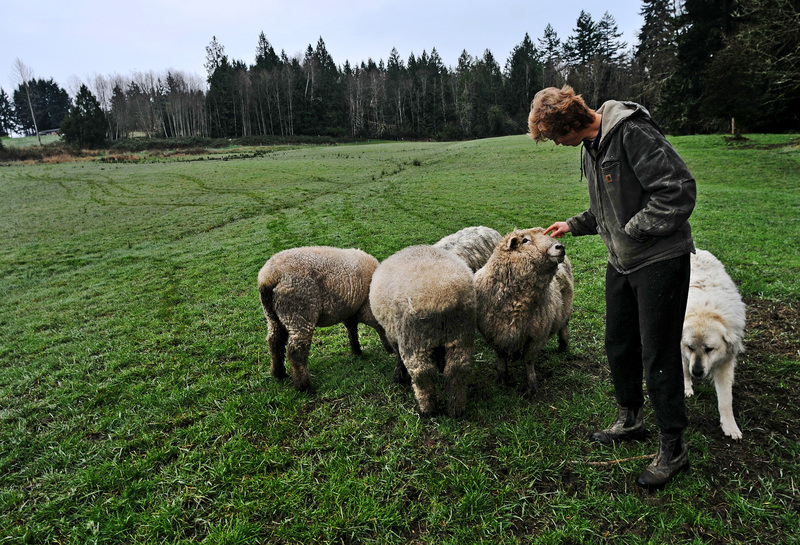 Janice Bryant checks on the rams at one of the pastures of the 70-acre Kaukiki Farm, the southern-most stop of Saturday’s Key Peninsula Farm Tour. Janice Bryant’s day starts earlier than most people – waking up at 4 a.m., fixing a cup of tea and then off to the shed where Kaukiki Farm’s all-terrain vehicle is kept. This is life on a farm and a choice for this family of four. Bryant and her husband Warwick bought the 70-acre property along the Key Peninsula Highway in 2007 to give their boys – Mac, 10 and Jackson, 8 – a childhood much like their own. Janice grew up on a farm in Glenwood, Iowa, and Warwick on his family’s sheep station near Taihape (pronounced tie-happy), New Zealand. Each year for last eight the folks of the Peninsula pay homage to the hearty homesteaders who settled here with a tour of local farms. 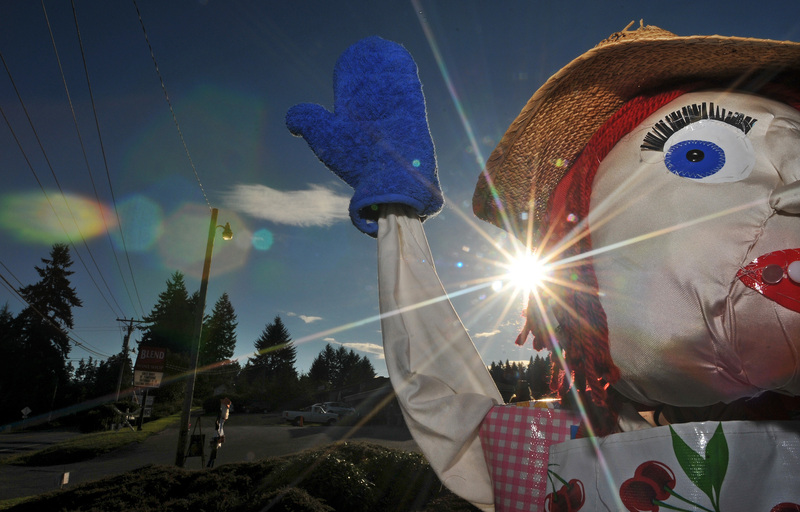 Scarecrows along the Key Peninsula Highway went up earlier in the week to promote the tour. 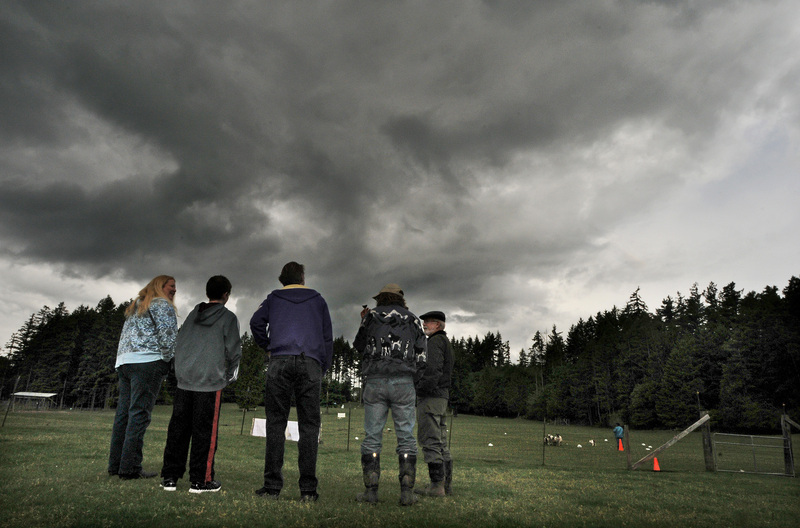 In this spirit, folks on the Key Peninsula pay homage to the legacy of the hearty homesteaders who settled the Peninsula with a tour of local farms. Each year for the last eight they have put on an immersive and interactive experience that showcases farm life. The Key Peninsula Farm Tour on Saturday will be an opportunity for people to ride horses, shear sheep, cut flowers and even see how wine is made. Claude Gahard , a winemaker on the Peninsula, helped start the tour of farms in 2006. Back then it was called Harvestfest, and it was a countywide program. “After funding dried up, we kept (the tour going on the Peninsula),” said Gahard, who was the event’s president at the time. The tour now is funded mostly with private donations and a small contribution from the Pierce County Parks and Recreation Department. Tour organizers expect hundreds of people from the region to make the short drive to the 23-mile-long finger of land on the South Sound. European settlers first arrived on the Peninsula in the 1860s. It has since been logged and farmed — a lasting legacy of this 23-mile-long finger of land in the South Sound. According to local historian and author Colleen Slater, it is a colorful and fruitful history. The Peninsula’s first European settlers arrived in the 1860s. Businesses to dry and package prunes sprung up in Vaughn and Herron – all over the Peninsula, really, she said. This locally produced product helped feed the Klondike miners in Alaska. Basically the settlers, she said, “came from all over.” Most of the Germans and Scandinavians settled in Longbranch. The English picked Vaughn, on the eastern shore of the Peninsula. Then there were those disenchanted with the utopian communities elsewhere, heard about Home, and moved there. This narrative still rings familiar today. Bill and Tracy Ketts, proud proprietors of Blue Willow Lavender Farm, love working the land. “This is not a hobby farm,” Bill said. The idea to work the land was an easy sell to the Ketts. Getting up here took another four years. They finally made the move in 2008, leaving their jobs as teachers at a Christian school in Norco, Calif., an hour-and-a-half drive north of San Diego. 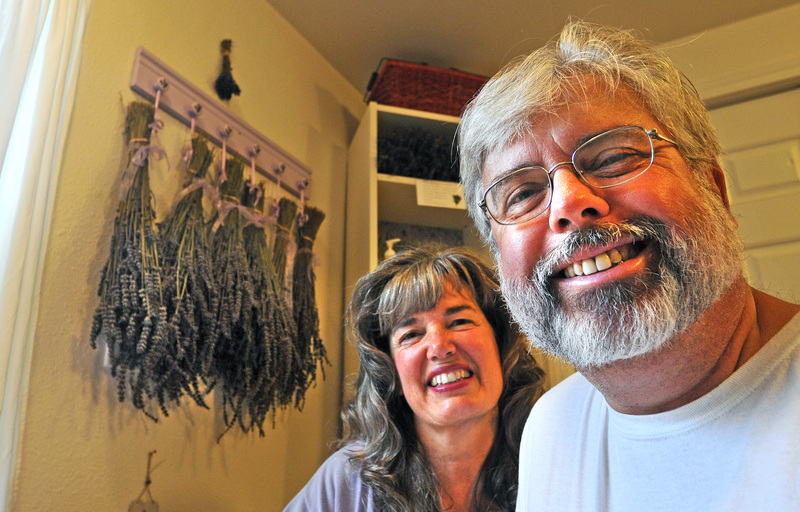 They are now the proud proprietors of Blue Willow Lavender Farm and have grown over 4,000 lavender plants. Ketts also has stayed involved in sharing his faith as pastor of Grace Fellowship of Key Peninsula church, a small wooden structure next door to the farm. “This is not a hobby farm,” he said. “We get on our hands and knees and work the ground. Farmers we know on the Key Peninsula do this. “We love it, so we do it,” he added. 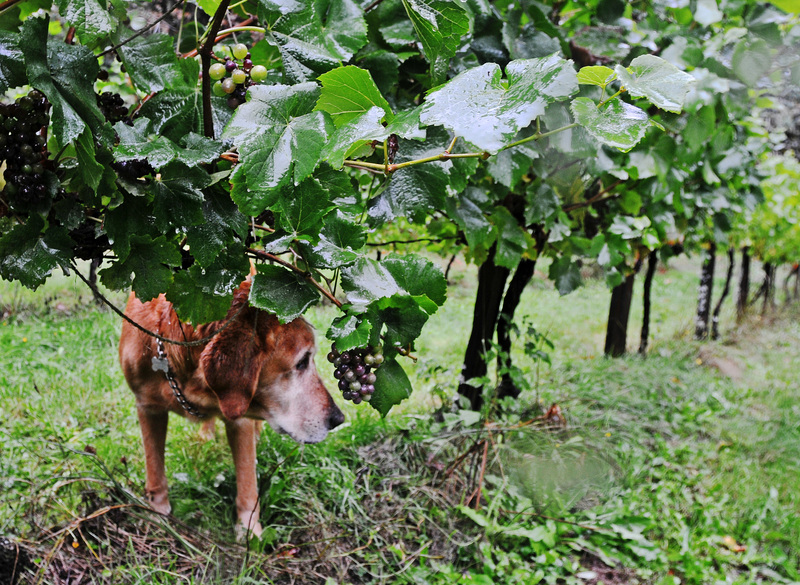 Champee, the winery dog at Trillium Creek Wines, helps check the pinot noir grapes at the vineyards on this 13-acre property in Home. There is a segment of the farming community who believe that locally grown food tastes better. To a segment of the farming community like Gahard, the farm tour is a way to amplify their belief that better food means food grown locally. “For us in the vocal minority … we have to do it ourselves,” he said, explaining his support for many on the Peninsula who grow their own food. He is rather particular about food. Much like where Gahard wants his food grown, his wine is home-made. Literally. He produces his wine in a 40-by-80-foot concrete wine cellar that sits on his 13-acre property off a winding, tree-lined road in Home. For the most part Gahard would not quarrel with that assessment. He will, however, bend your ear about what makes good wine – that more sulfites is bad for your health and balancing the acids in wine make it a tastier pairing with food. He is proud of the knowledge he imparts. “It is an education process,” he adds. The Gahards have been making wines for 30 years – the last eight at Trillium Creek Wines on the Key Peninsula. This stop on the tour can be spirited with Claude, a retired airline pilot, and Claudia, a former bank employee, both passionate about their life as grape growers and winemakers. Just ask them how they got started with wines and the stories will flow like their best bottle of pinot noir. While living near Walla Walla in the early 1980s, the Gahards used to glean potatoes, onions, spinach and asparagus from the farms. “Whatever the machines missed we would pick up,” Claudia said. They also went to the vineyards to gather what was left over of the concord grape crop. The catch: “We had not a clue what we were doing,” she said. With a little more research and tapping into Claude’s French upbringing, the couple graduated from making terrible-tasting wine to vino they both liked to drink. In 1991, the Gahards bought their property on the southern end of the Key Peninsula and decided to grow grapes. Today, they have 3 acres with rows of pinot noir grapes. Apparently, because the Key Peninsula sits on the same latitude as the Loire Valley of France, this variety of grape loves the climate: warm days and cool nights. The winery today produces a few hundred gallons of wine a year, depending on the grape crop in their backyard and in Eastern Washington. Most of the grapes they crush for their wine are trucked in from east of the Cascades. “We’re market-driven” and make wines consumers want, Claude said. It just has to be good, he insists. The many farms on the Peninsula are chock full of stories. 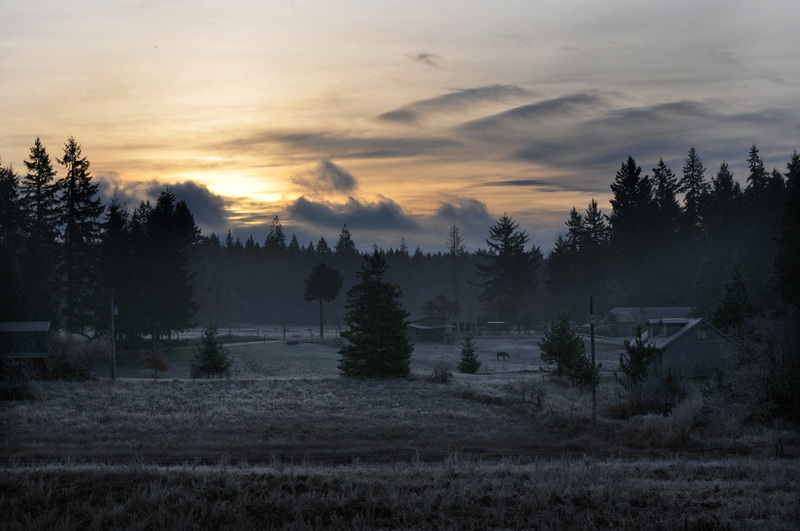 The beauty of the Peninsula’s green pastures bring visitors to drive south of the Purdy Bridge. So will the stories on this year’s farm tour. Take Bea Morrison and her daughter Linda Brewer, owners of Bea’s Flowers on Creviston Road. Both worked as school bus drivers. Morrison retired and Brewer got hurt, ending her career. Deeply involved in the work their church was doing abroad, they wanted to help. But how will they pay for the trips to Guatemala? “(Mother) already had a large garden,” Brewer said. So they decided to farm it. This was 14 years ago. This piece of land on a bend on the road, a stone’s-throw away from the Minter Creek Salmon Hatchery, is where Brewer grew up. A lot has changed in the neighborhood since she married the boy down the street 35 years ago. “In some ways for the better,” she added. She is still married to Ed Brewer, and they live in a house just down the street. Being part of the farm tour gives the ladies an opportunity to promote their garden and reconnect with their growing number of neighbors. The farming lifestyle will be the star at Saturday’s tour. If nothing else, visitors will see how people on at least 10 working farms on the Key Peninsula work and live. It is a legacy of hard work. And on Kaukiki Farm, the southern-most stop of the tour, there are plenty of chores to do daily. 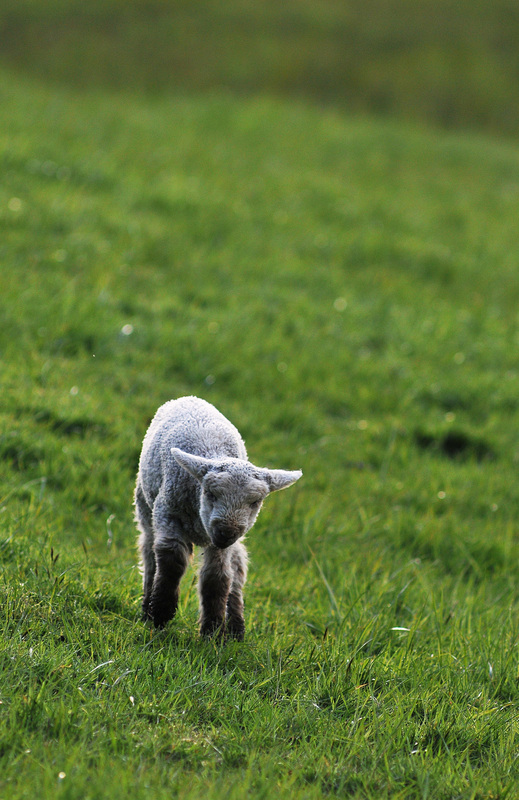 The ewes on Kaukiki Farm are bred in the fall so lambs can be born in the Spring — also known as lambing season. The newly born lamb lie next to their mothers in stalls bedded with straw in a barn at the back of Kaukiki Farm. Through heavy wooden doors, past the pen keeping the llamas and lining the back wall, are six stalls bedded with straw. This is where the ewes and newly born lamb are kept. 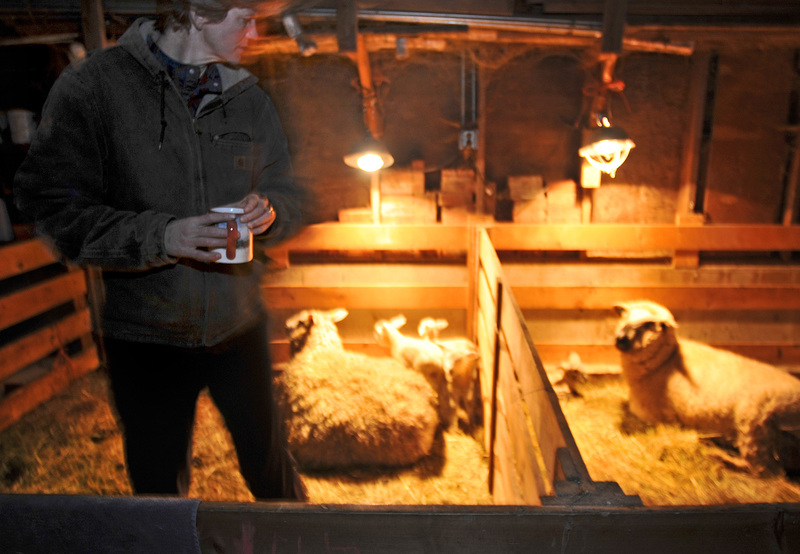 Under bright heat lamps, the lamb lie next to their mothers – singles, doubles and even the rare triplets. Bryant talks about her animals as if talking about family. With her large Christmas mug of hot tea in one hand, Bryant deftly moves around the dark barn, checking on everyone inside. Kaukiki Farm has about 50 heads of sheep, and during lambing season that number can double. 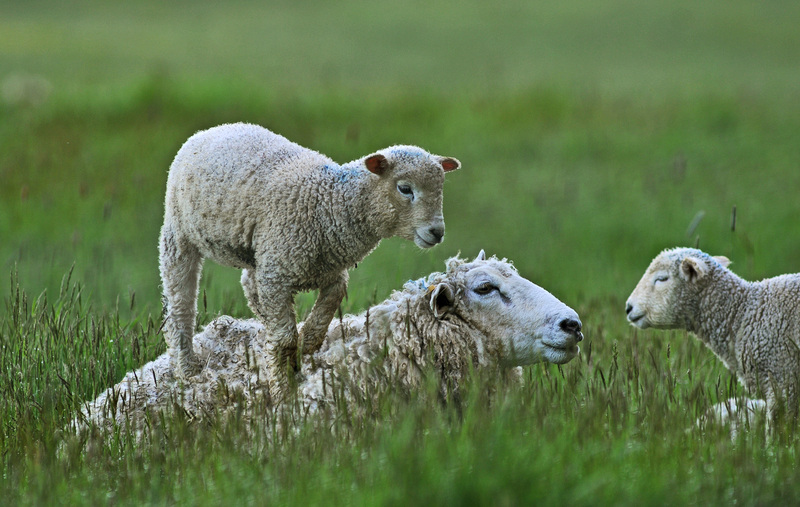 According to Bryant, sheep mate in the fall so their young can be born in the spring – a process called lambing. The trick, she said, is to get the ewes pregnant in the fall at roughly the same time, ensuring their lambs will arrive around the same time in the spring. 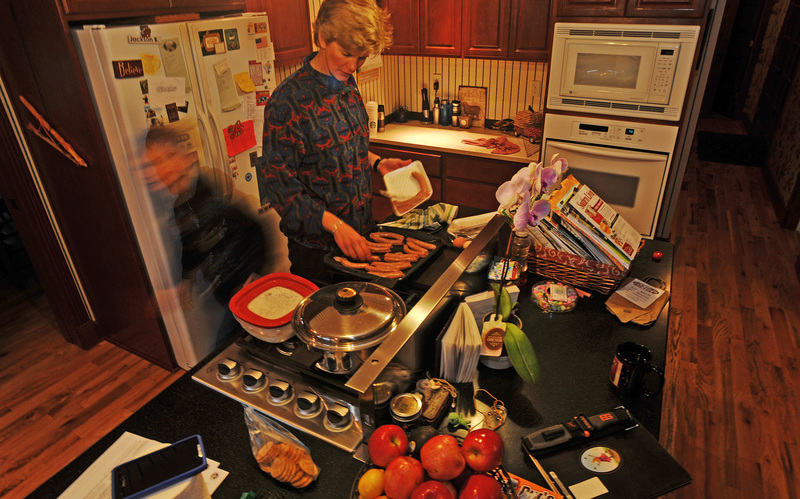 A recent breakfast at Kaukiki Farm included sausage from last year’s hogs Big Fatty and Little Pink. This is where Jojo, the teaser ram, comes in. He struts around and gets the 36 ewes at Kaukiki Farm in heat, she said. Jojo is a sterile but good-looking ram and his only job is to get all the girls excited. “He would walk around, stiffen one hind leg and curl up his upper lip,” she said. Apparently this drives the ewes mad with passion. Enter Chunkamuffin, the stud of these pastures. He has a big job: impregnating the 36 ewes while they are still in heat. And so goes life on the farm.